Koolatron Coca-Cola Personal Fridge1.0 ea. 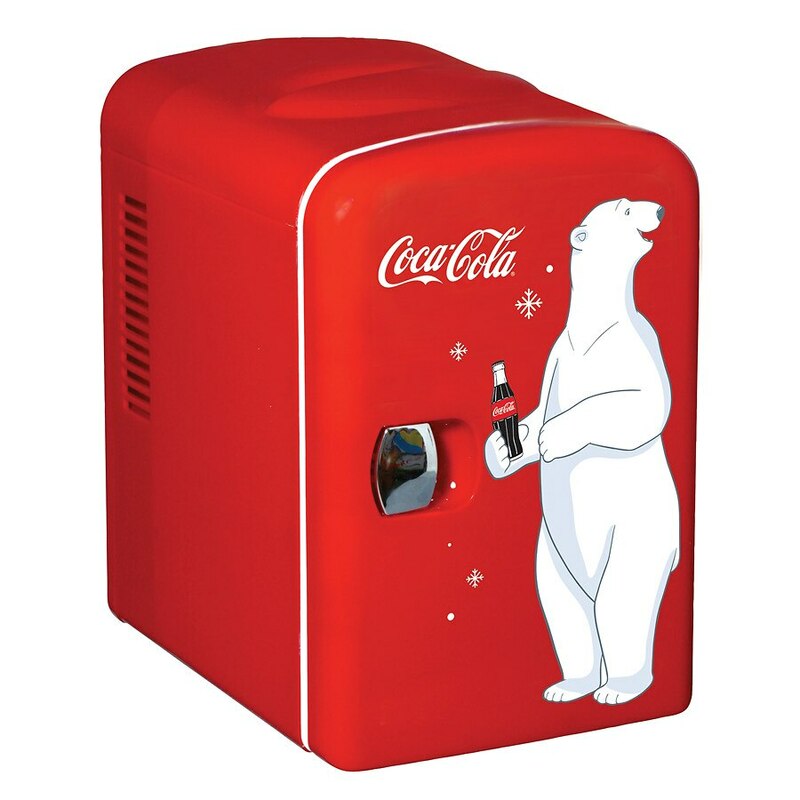 The Coca-Cola Personal Mini Fridge is a fun and stylish way to keep your drinks cold. This small, refrigerator-like cooler is a great conversation starter. Perfect for your office, home bar, or RV, this fridge is designed to keep your favorite drinks chilled. Lightweight, compact, and portable, this refrigerator features a self-locking recessed door handle and a 4 L capacity. The eye-catching red finish with a classic Coco-Cola logo is sure to add a pop of color to any room. You can also use this mini fridge in your vehicle, RV or boat car by connecting it to the 12 volt receptacle. This fridge is ETL certified to ensure unmatched quality and safety of the product. Compact 4-liter fridge holds up to six 12-oz. cans or four 500-mL. bottles. Features a self-locking recessed door handle.